X Electrical Vehicle, from Italy, says it is edging closer to mass production in China of its low-speed 3D-printed cars, which could now be hitting the streets by the second quarter of 2019. Guo Xiaozheng, a senior designer at the firm also known as XEV, said the electric car – expected to sell at around USD $10,000 – will have a maximum speed of 70 kilometres per hour and a range of 150km. “China is the biggest market for our cars,” he told South China Morning Post. “Talks with several mainland industrial zones to set up production lines are now at a late stage.” A prototype of the car, the LSEV, is currently on display at Shanghai’s China 3D-printing Culture Museum, before being exhibited at Auto China 2018 in Beijing next month. 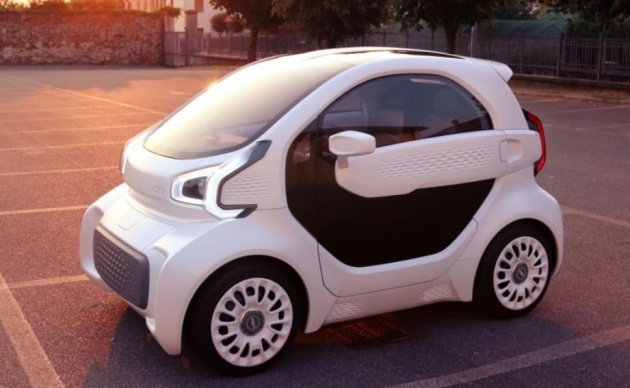 The company claims it is the world’s first mass-produced 3D-printed electric vehicle, and that it has received 7,000 orders from companies including postal service providers. Nearly all its visible parts are 3D-printed except for its windows, tyres and chassis. 3D printing is a manufacturing process where materials are joined or solidified under computer control to create three-dimensional objects. Technically, the manufacturing process often shortens research and development time and can offer customers tailor-made products.